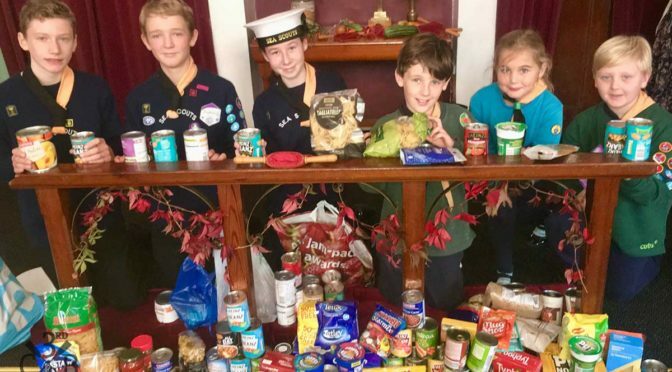 October’s Church Parade is the Harvest Festival Service at the New Road Fishermen’s Chapel, where all members are requested to bring an item of food (tinned or non perishable i.e. pasta please) to donate to HARP, the charity for homeless people in the Southend area. Meet at The Den at 10:30 in full uniform as usual. We will parade from The Den to New Road Church. Parents are welcome to join us for the service. We will be finished at The Den at 1215.